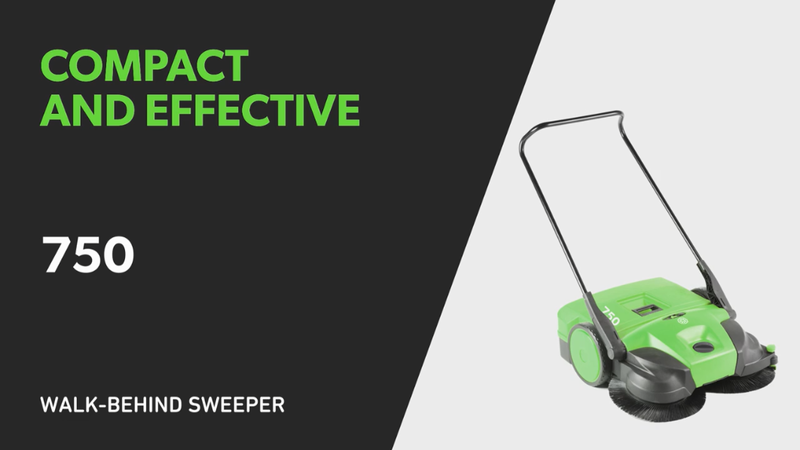 Sweepers play a fundamental role in today’s cleaning acitivities: they are used as a first step to remove all the debris spread out on the floors of all types of surfaces. They help to create a positive impression of the environment to both visitors and workers. As already explained, first impressions are essential when it comes to judging the areas surrounding us. A clear, well looking and attractive floor makes the difference. In addition, clean windows and shining surfaces (without dust) become the business card of an environment. By using appropriate cleaning solutions, like sweepers the quality of the facilities appearance is definitively improved. Having said that, are sweepers all the same? If you talk about sweepers, there are two main categories to be taken into account: ride-on and walk-behind models. 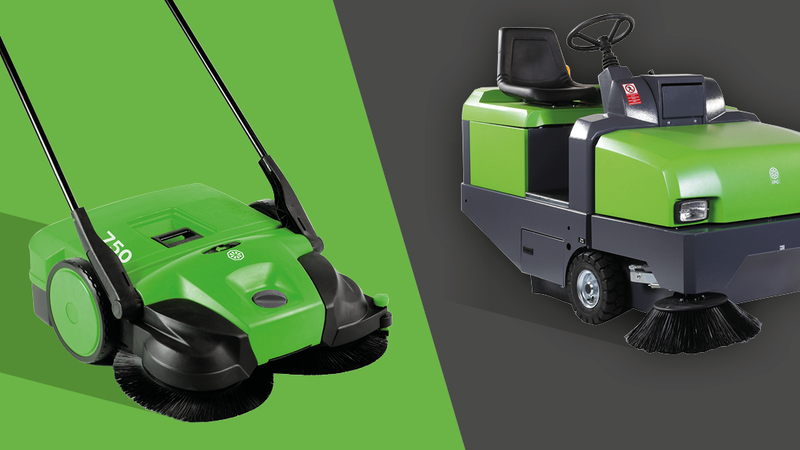 Both ride-on and walk-behind models seek the same goals, sweeping and professional cleaning, but at the same time they hold different features. Specific applications, various purposes and expected goals determine the choice of model. So, which is the right version to choose? the frequency of use, how many times will you utilise the sweeper? If the floor you’re going to clean is narrow or medium-sized, a walk-behind sweeper is a more appropriate alternative to manual equipment. The walk-behind models make the cleaning operations easier in areas with many obstacles to be avoided. Easy to manoeuvre, the operator can face any constraints, from stairs to ramps and furniture. This is the reason why walk-behind models are recommended for the sweeping of indoor enviroments. When the operator has to deal with cleaning larger areas in a facility, a walk-behind sweeper is not enough: the ride-on models stand up! Particularly suggested for outdoor applications, they should be applied on wide surfaces, like big parking spaces, airports and shopping centers. The new range of IPC ride-on sweepers can be used for both indoor and outdoor areas, for example, logistic platforms and public areas. Generally speaking, big ride-on machines are fitted with large batteries, so they are more autonomous than smaller walk-behind sweepers. They are faster and more productive, designed to endure longer working time. The relationship between the size of the area to be cleaned and the time of sweeper to carry out the cleaning operations is a key point to make the right choice. For example, when the operator is cleaning a wide area, he should choose a ride-on machine, specifically recommended for heavy-duty activities. The walk-behind sweepers are more compact and can be used frequently and in small areas. The new IPC walk-behind 750, for example, can be used for both indoor use and in outdoor open-air environments. Through the 750 mm cleaning path width and the 50 L hopper capacity, the walk-behind 750 sweeper can collect all type of debris, from bottles to leaves, allowing total and thorough cleaning even in the most difficult corners. Through the Turbo sweeping system, two circular brushes collect the waste, throwing it back in the hopper, while the fine dust is filtrated by two special filters, looking out for operators’ health. Size, working time and frequence: these are the parameters which will help you in defining the best sweeper to suit your requirements.